LATEST UPDATE dated 18.04.2019 : Good News !! 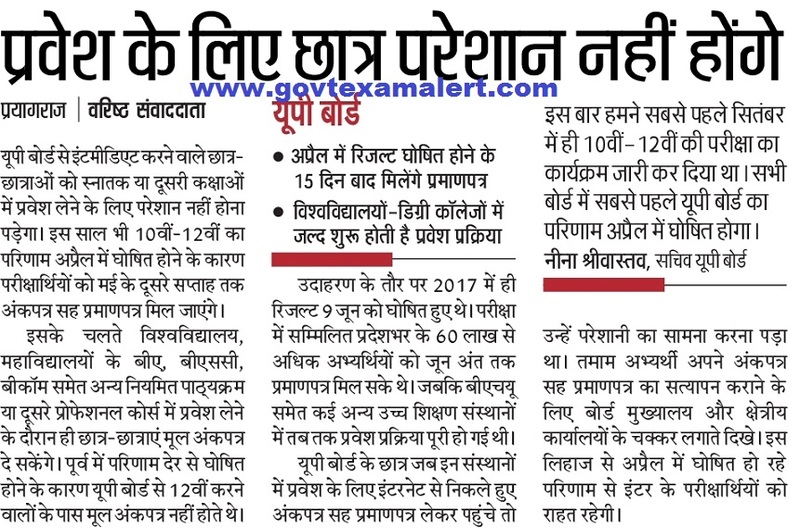 UP Board 10th 12th Result 2019 may announce in Last Week April, 2019. UP Board Result Date will announce on 20 April, 2019. As per News, Result can be announced between 23 to 30 April, 2019. Process of uploading Roll No. is in last stage. Read full news of UP Board 10th 12th Result 2019 from link given below…. 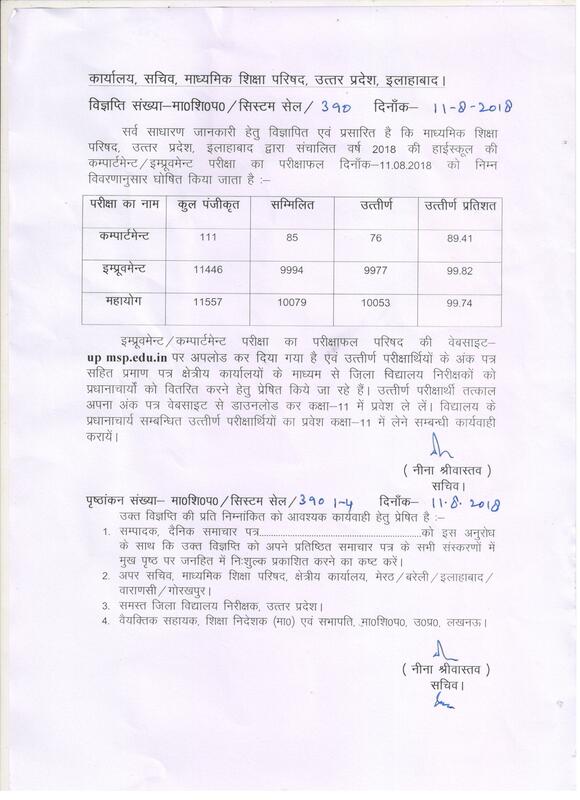 UP Board has increased Fee of Scrutiny For Class 10th & 12th. Fee for Practicals has also increased Now. 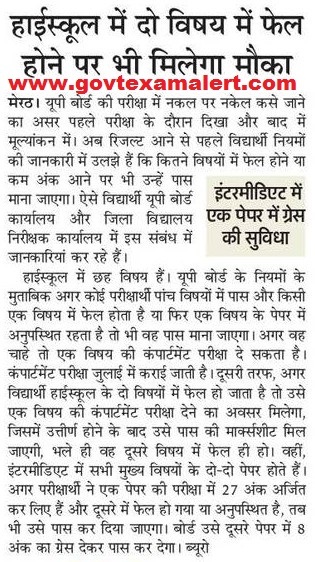 Students now have to pay Fee Rs. 500/- for Scrutiny of Copies. Read full news from link below…..
UP Board Result 2018 Stats : UP Board Result has been announced. This Year 75.16% Passed in 10th Exam while 72.43% Passed in Intermediate Exam. Total 30,28,767 Appeared in High School Exam, out of which 22,76,445 Passed in Exam. In Intermediate 26,04,093 Candidates appeared while 18,86,050 Candidates passed in Exam. UP Board Marksheet/ Certificate Distribution Dates : Marksheets will be sent to school/ colleges within one week. So Students can contact in your college regarding UP Board 10th 12th MarkSheet & Certificates. Students will also able to download their Certificates/ Mark Sheet Online. Information Regarding UP Board Exam Re Copy Check/ Scrutiny Form/ Grievance regarding Result : UPMSP has created Grievance Cell for solving disputes related to UP Board Result. Students can contact these cells to make correction/ complaint regarding Name, Father’s Name, Roll Number etc. Contact on 0532-2623182 & 0532-2423265. UP Board Scrutiny Form 2018 are available now. Keep in touch with us for Updates. Good News !! UP Board 10th 12th Result 2018 has been announced on 29.04.2018. UP Board 12th Result announced on 12:30 PM while Class 10th Result declared on 01:00 PM.. So Students, Check Your UP Board Result 2018 from the links given below…..This Year Copies of Toppers of Class 10th & 12th will upload on UPMSP Website after UP Board Result Declaration. UPMSP is planning to upload Copies within One week after declaration of Result. Good News for UP Board 10th & 12th Students, UPMSP has cleared that If a Student in High School failed in One Subject or absent then he will declare pass. Students can also give compartment exam in July, 2018. For Intermediate Students, there will be grace of 8 marks. Read Full News from Image below…. Board of High School and Intermediate Education Uttar Pradesh, Allahabad will conduct 10th Class (High School) Exam from 07 to 28 February 2019 and 12th Class (Intermediate) Examination 2019 from 07 February to 02 March 2019. 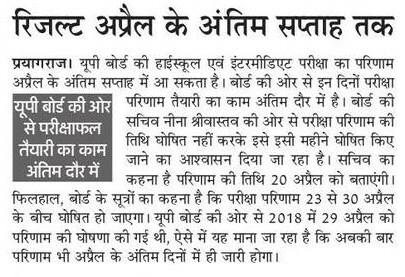 UP Board High School & Intermediate Exam 2019 may conduct in February, 2018. Details of UP Board Result 2019 is provided in this Article. More than 65 Lac Candidates appeared in Board Exams. UP Board Result 2019 for High School & Intermediate Exam will be available on Official website. Students can check their Result by entering their details of Roll No. Latest Updates will available on this Page itself. So all Students who appeared in the UP Board Exams 2019 for 10th & 12th Class, are advised to keep in touch with us through our website www.govtexamalert.com. Result will available on our website as it will declare by UP Board. You can direct check your Result online from the link provided below………..
On Home Page, You will find Result link to Check UP Board Result 2019. On that Page, there will be separate links of 10th & 12th Exam Result. Aspirants can check their Result by Entering their Details of Roll No. Take Print Out of your Result for Future Reference & Self Assessment. UP Board 10th 12th Class Result 2018 are declared on 29 April, 2018 after 12:30 PM. 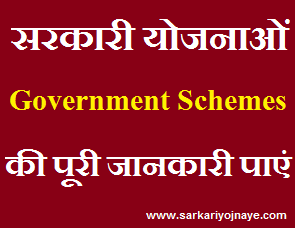 UP Board 10th 12th Result Link has been available here….Check Result from given link…. UP Board Result 2019 will be declared on the Proposed Time. If any change occur we will inform you through this Page. So stay connected with us for Latest News, Updates and Announcements related to UP Board Xth & XIIth Class result……Aspirants having queries related to UP Board Result 2019 can comment us through the comment box. We will try to solve your queries. kis region se ho aap ? SIR MEERUT REGION INTERMEDIATE KA RESULT KB AAYGA SCRUTINY KA. School me pta kiya to principal ke koi information nhi board ke dwra….borad se massage kb tk jayega school me…ur kaise pta chlega…..